When you’ve discovered that you have a pest problem, that discovery is usually made in a big way, like major damage to your home or property or rodents running around leaving little surprises for you to find in our cupboards or closets. No matter how you discovered the problem, the next step is to discover the solution. The Professional Minnesota Exterminators of Eco Tech use both natural and traditional solutions, so depending on your preference, Eco Tech will go over both processes with you so you can agree and proceed in a manner that is a good fit for you. Eco Tech is highly proficient in eliminating the presence of wasps & bees, spiders, silver fish, roaches, millipede, live, grubs, fleas, earwigs, crickets, box elder bugs, and beetles. Have you discovered bats or squirrels living in your attic? Eco Tech will remove them and get them back to their natural habitat. The same goes for raccoons, rats, mice and snakes. They may have a place in nature, but they have no place in your home or business. After Eco Tech has rid your home or business of any pests, we can then formulate a plan to prevent them from coming back. 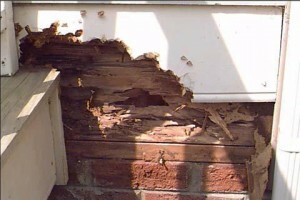 Using our 17 point inspection sheet, we pest proof your property and repair any damage caused by the intruding pests. Eco Tech offers a first time customer coupon available on their website. You can print the coupon out right from the website. Located in Blaine Minnesota and servicing the Twin Cites Metro area, Eco Tech is a BBB accredited business with an A+ rating. With 24 hour 7-day a week service, there is no reason why Eco Tech should not be the company you contact when pests try to take over your home and living space. Handling both commercial and residential locations, Eco Tech does not require you to sign a contact and we do have flexible programs available to meet your needs. For the best in pest control for both natural and traditional solutions, contact Eco Tech by phone at 763-785-1414 today for service at your Minneapolis or St. Paul, MN city, suburban or country home.